After learning of lavish out-of-state trips by high-ranking officials at the Texas Alcoholic Beverage Commission, two state lawmakers expressed concern about the expenditures and said they looked forward to questioning the state’s liquor regulators. The comments came in the wake of Friday’s Texas Tribune report about numerous taxpayer-funded junkets agency honchos took to resorts as far away as Honolulu to attend meetings of the National Conference of State Liquor Administrators. And before their 2015 jaunt to San Diego, top agency officials helped create a boozy graphic — during work hours — depicting the trip. State Rep. Sarah Davis, R-West University Place, a member of the House General Investigating and Ethics Committee, also expressed her concerns about the TABC. TABC public information officer Chris Porter defended the agency’s trips to swanky hotels and the expenditure of almost $17,000 in NCSLA registration and membership fees over the past few years. Porter added that TABC ensures taxpayer money is spent responsibly. “Like any other state agency, our out-of-state travel is carefully monitored both internally and by the elected and appointed officials who oversee the state’s budget,” Porter wrote. Isaac does not agree. The legislator said he’s looking forward to officially questioning the necessity of TABC’s existence — known as the Sunset process. “I’m getting more excited that TABC is coming up for sunset review in two years, and I hope to be very involved in that process,” Isaac said. 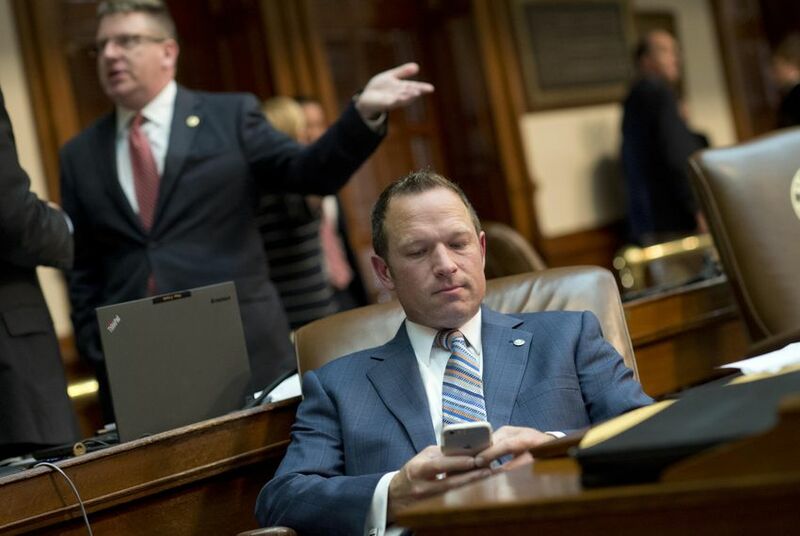 Isaac has been working for two sessions to level the liquor playing field in Texas, but he said he's been blocked by the alcohol industry's grip on the Legislature. Isaac added that TABC officials who enforce Texas’s antiquated liquor laws benefit from keeping those laws in place. Isaac filed HB 4233 on March 10 in an attempt to eliminate provisions in the Alcoholic Beverage Code that prohibit publicly traded companies from selling liquor in Texas and limit liquor store owners to five stores. He said he’s not incredibly optimistic about the bill’s chances, though; he filed the same bill last session but did not even get a hearing. Right now, a publicly traded company cannot sell liquor in Texas, but privately-owned companies can — the only such law in the nation. Privately owned companies such as Spec’s are discouraged from going public by this provision, Isaac said. “If they wanted to grow, and raise capital with an initial public offering, they would have to cease doing business in the state of Texas,” Isaac said. HB 4233 also would eliminate the five-store limitation. Isaac said a loophole in the law allows large families to exceed that limit by letting each family member put five stores in their names — which he said isn't fair to smaller families. Texans for Consumer Freedom, an advocacy group, applauded state Sen. Kelly Hancock, who filed HB 4233’s companion bill SB 2209, along with Isaac for trying to eliminate what they called anti-competitive provisions of the Alcoholic Beverage Code.